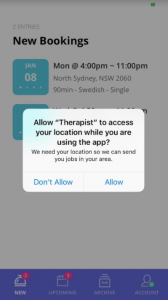 The Blys Therapist App can be downloaded from these links below. 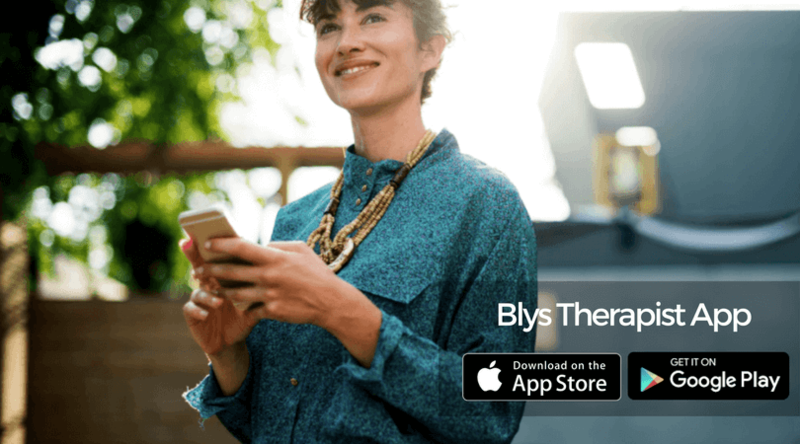 If you’ve already been approved as a Blys therapist, you can simply log in to the Blys Therapist app. 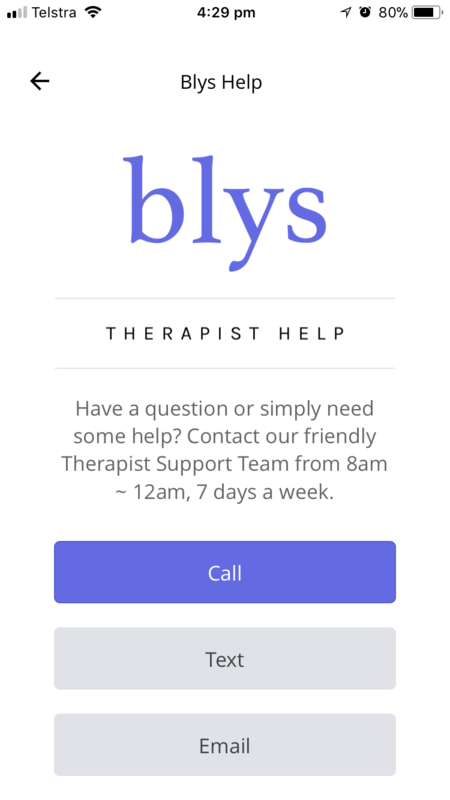 Our Operations team is on-call to help you onboard the Blys therapist app. 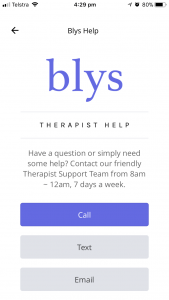 Otherwise, if you’re not a Blys therapist yet, you can sign up in the app by filling out the sign up form, and someone from our team will get in touch with you to follow up on your account. 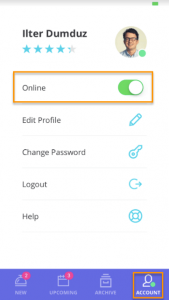 You need to be ONLINE in your app to be able to receive & accept booking requests. Blys has bookings all throughout the week – so whenever you’re ready and available to accept booking requests, open the app, go to your Account section, and tap to go Online. 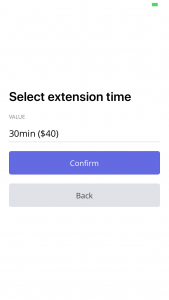 We strongly recommend that you always stay Online (even if you’re not available today), so that you’ll get notified about jobs that are booked in advance. 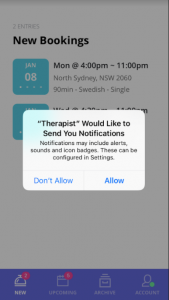 Set the modalities you’re qualified / trained for in your app, so you receive relevant and personalised job alerts. 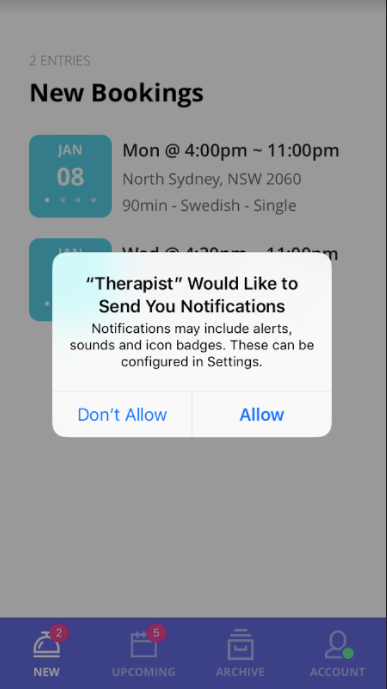 Once online, you’ll automatically begin to receive booking requests in your area via the Blys therapist app. 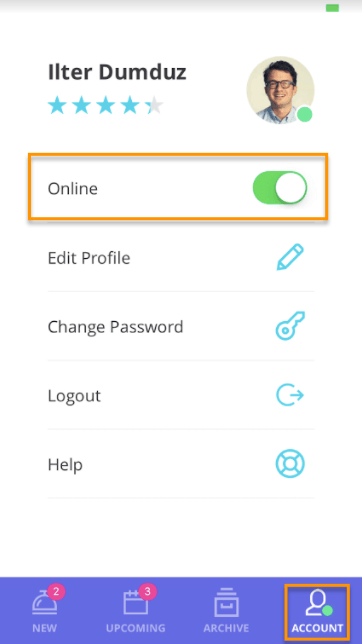 Simply go into your app to check out the job details, and tap ‘Accept’ if the job fits into your schedule. 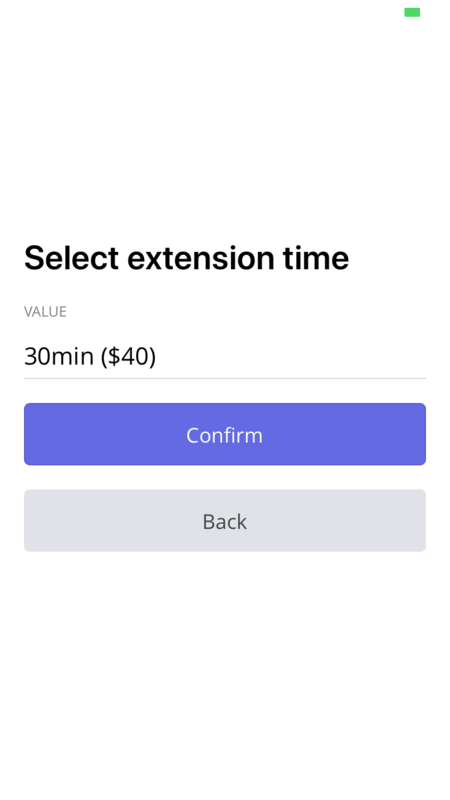 Once you tap ‘Accept’, the app will prompt you to confirm your time of arrival – which will be automatically sent to the client via our platform. 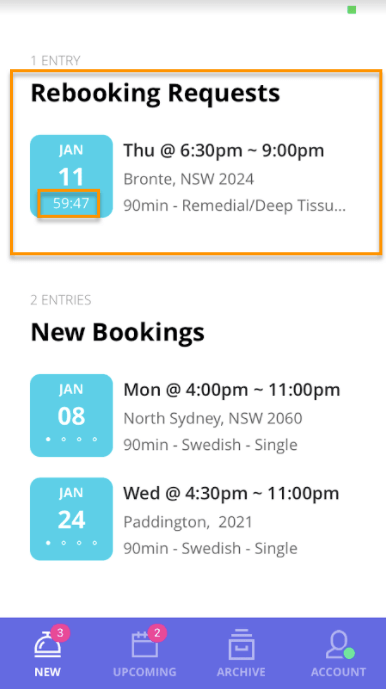 All your confirmed bookings will be listed in the ‘UPCOMING’ section of your app. You can use the address link provided in the Blys Therapist app to find out about the distance to the booking, the estimated driving time and the directions. 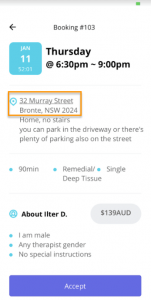 You can also find the location notes – such as location type and parking instructions – just below the address link. 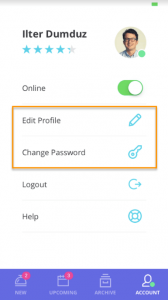 Once you’re ready to head to your appointment, simply tap the ‘On My Way’ button in your app which will notify the client that you’re on your way. 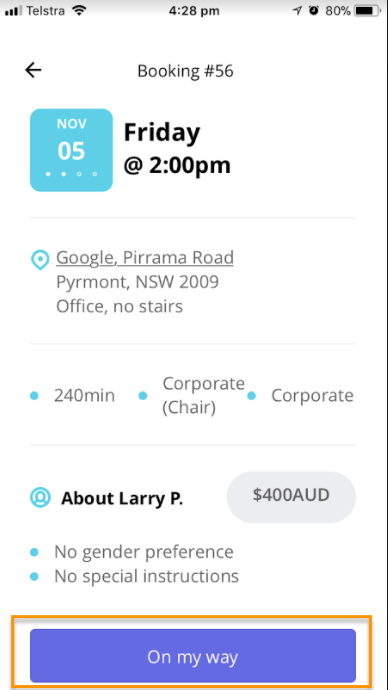 Please remember to arrive 10-15min before the booking start time to give yourself ample time to set up. If you require clarification on client’s address or parking/door number, or if you’re running a few minutes late to your appointment, you can contact the client directly from your app by tapping the Contact Client button. 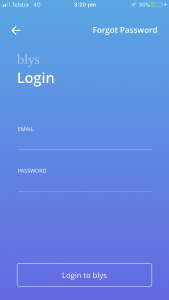 We strive to offer Blys users a seamless and streamlined experience, so please minimise the back-and-forth with the client as much as possible. 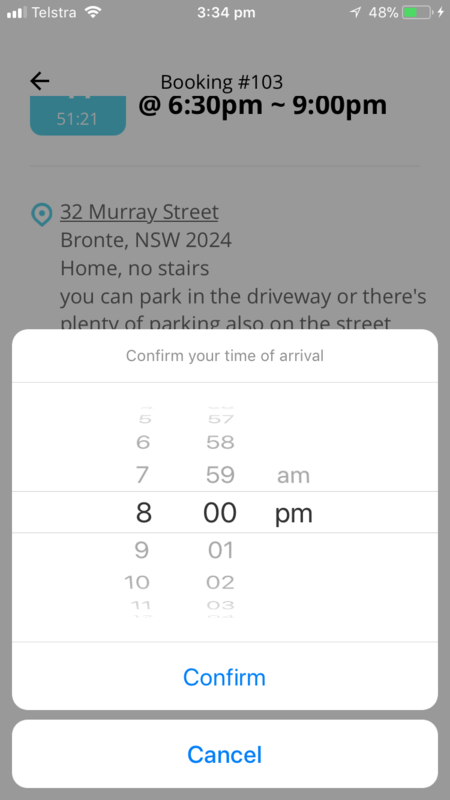 As a last step, jump back into your app as soon as you finish, and tap ‘Complete’ to finalise the booking. 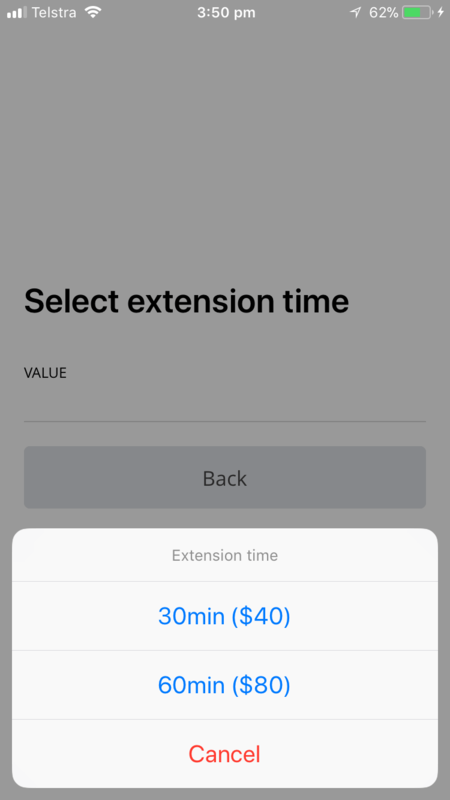 Note that tapping the ‘Complete’ button also processes your payment, so to avoid delays in payments, make sure you tap ‘Complete’ immediately after your appointment. 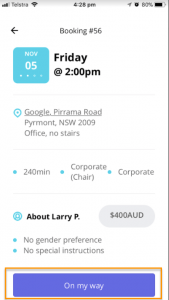 The Blys Therapist app also allows you to extend the session. 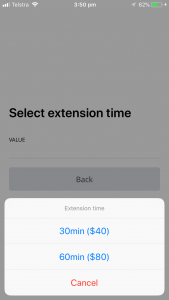 Simply tap the ‘Extend’ button before you complete the job, and select the amount that was added to the session and confirm. 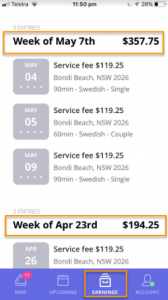 This will automatically update the booking details and add the extra charge to the client’s card and to your account. When a client rebooks you, you’ll immediately see those rebooking requests at the top of new job offers. Rebooking requests are exclusively available for you for a limited time. 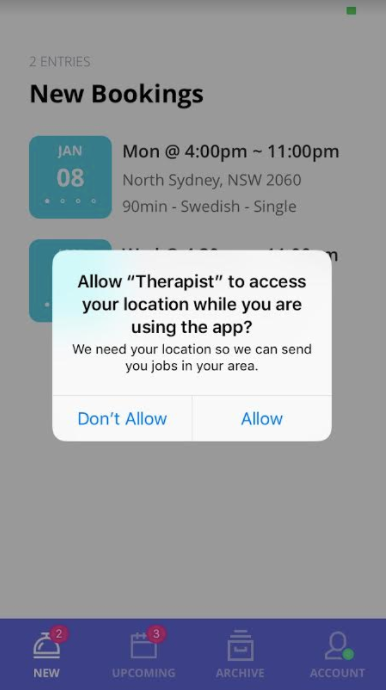 If you’re not available and accept the offer within the given time, the app will automatically open the job to nearby therapists to see if we can still accomodate the client’s request. 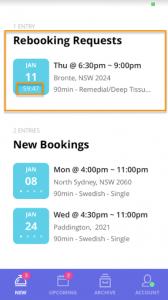 To recap; Blys clients can easily rebook the same therapist from our app or website, by selecting the Rebook option when booking. In case you need to explain to the client how to rebook you, see this blog post about How To Rebook Your Favourite Therapist for details. Additionally, being rebooked is an acknowledgement of the level of service you’ve provided – so, thank you for being awesome! 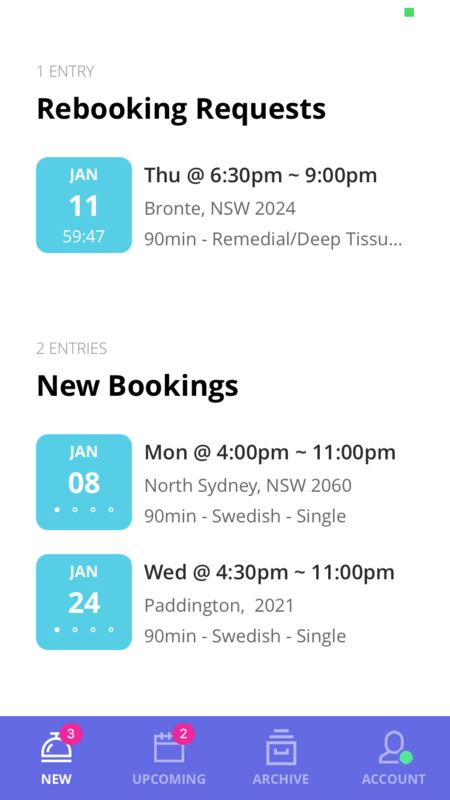 You can see all your past jobs and your weekly earnings in the ‘Earnings’ section of your app. The jobs on this page are ranked from the most recent to the oldest. 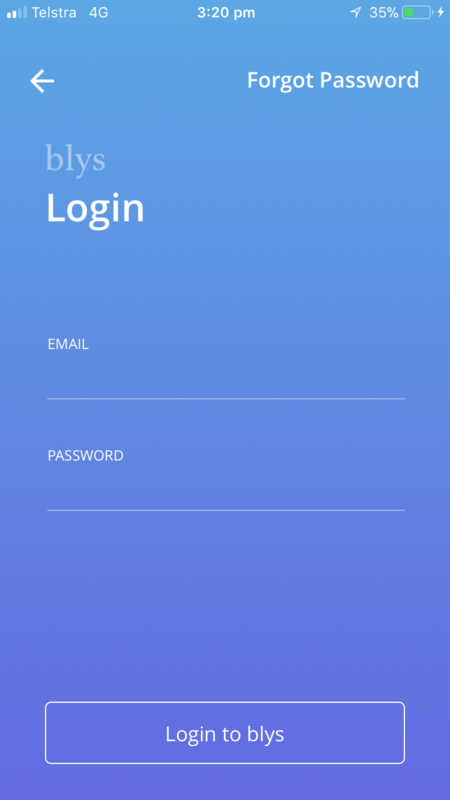 NOTE: Blys Therapist App only has historical data from June 2017 onwards. Jobs you have completed prior to June 2017 will not be shown in the app. Please refer to your Weekly Summary reports for earnings prior to June 2017. To maintain the HIGHEST level of service quality, Blys collects feedback from clients for the service they received (a rating from 1 to 5). You can find your rating in the Account section of your app, calculated based on the average of last 10 ratings you received. 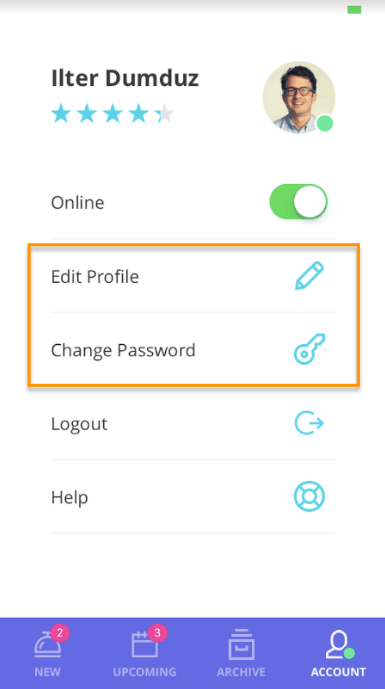 You can update your personal details (such as your password, contact details, qualifications) from the Blys Therapist app from the Account section. If you need to update other details such as your bank account or ABN, simply contact us and our team will update those details for you. 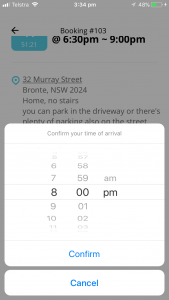 If you have any questions about your booking or your app, or simply need some help, our team is only a few taps away. 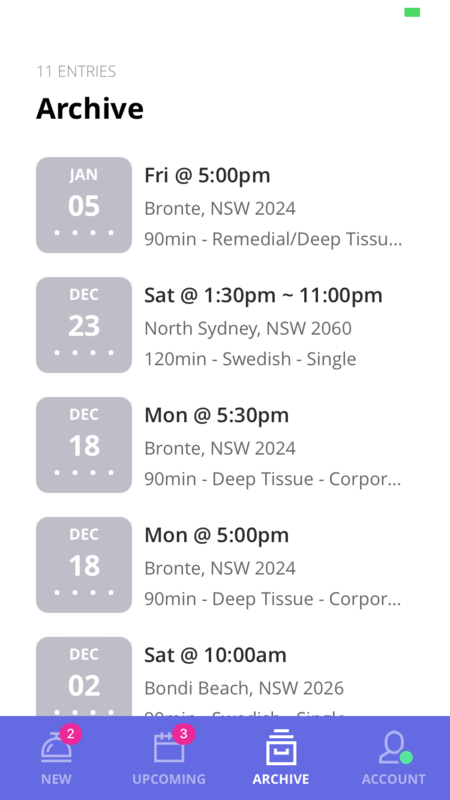 Please check our Therapist Guidelines page for more details on how Blys works, or call our team on 1300 420 188.